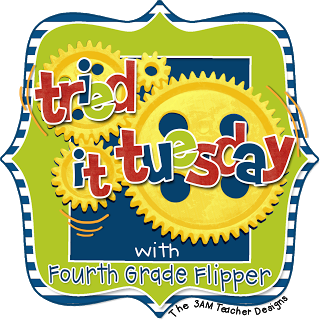 Okay, today I'm linking up with Holly from Fourth Grade Flipper for an idea that's totally....Genius! If you're looking for a way for parents to sign up for things in your classroom... need volunteers? copy moms? grading moms? field trip help? donations? conferences? book fair? You name it and Sign Up Genius is your solution! Now, last year our team was all on board with Google Docs. It was easy and parents could have the link and easily sign up... until a parent erased another parent for conferences. Major #FAIL! So, of course we had double booked conferences since both parents showed up and we were already running behind. It was a night of fast talking for sure! Here's what conference sign up looks like this year... Parents just check the box if they wish to take that time slot. They hit submit at the bottom of the page. We have already determined the dates and times! So, then our school PTO started using Sign Up Genius for the school wide Scholastic Book Fair. This system is great! It's free to use and all you need to do to register is log in with an email and create a password - done! Parents need to do the same thing. Sign Up Genius takes care of the rest! My calendar and view of my events and sign-ups... I have book fair and a taken conference spot because of a meeting conflict. Sign Up Genius will create a calendar for you (the teacher) of all your events and current sign ups. It'll even email you reminds if you like that sort of thing... I personally love it! It helps me remember and keeps me on top of things during crazy weeks. Sign Up Genius also sends parents a reminder of their sign ups (no forgetting a conference) and parents are not able to edit or delete an entry! No double booking or erasing someone else's input! Our school has used Sign Up Genius so much more this year! They've used it as a means to check out our community cotton candy, snow cone, and popcorn machine. Previously, you had to play email tag with the receptionist to find out if it was a available and when. As a team, we've used it for our class store. We listed items that needed donated and parents could log in and sign up to bring in certain items. It's super easy to use and set up! No You Tube tutorial videos required! Because in the wise words of Sweet Brown, "Ain't Nobody Got Time for That"
Don't forget to link up with your Tried it Tuesday! Genius! No pun intended! LOL! What a great idea! I can't wait to check it out! What a FABULOUS idea! I think I am going to share this with my PTO and Media Specialist also! I love that this is super easy to set up! You're right-"Ain't Nobody Got Time for That!" Lol. I am going to suggest this to my team to use for setting up conferences this year since it will be tricky now that we are departmentalized. Some of our teachers used this for fall conferences. The feedback has been very positive. I'm going to try it out for our spring conferences.